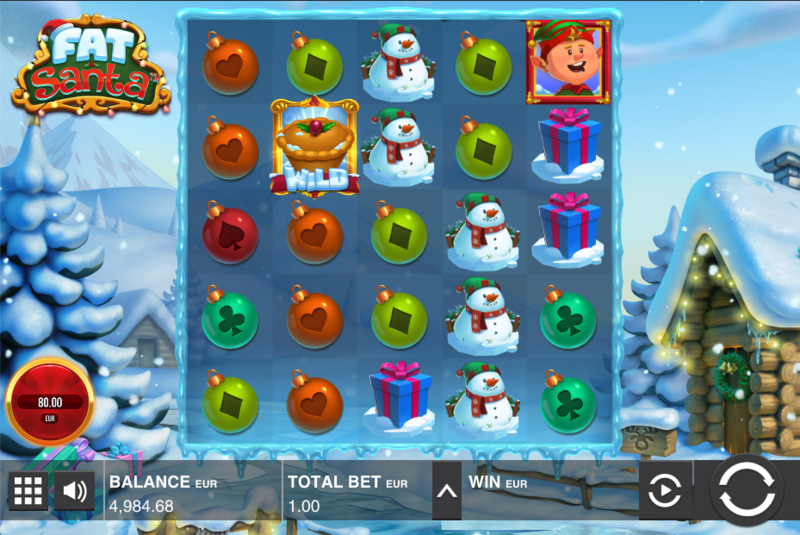 It may or may not be Christmas when you’re reading this review but that shouldn’t stop you checking out this online slot from Push Gaming with a seasonal theme; it’s called Fat Santa and he’s here to eat mince pies and hand out free spins. 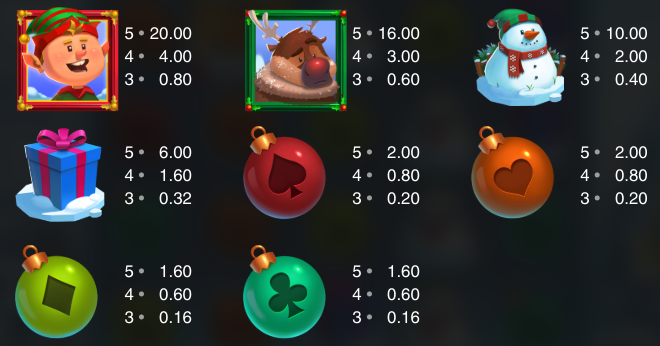 The four high value symbols are an elf, a reindeer, a snowman and a present; Christmas tree baubles in red, orange and two shades of green make up the lower values. Santa himself is wild and he’ll replace all others to help form winning combos. There’s also a wild pie with the same abilities. This is a mini-feature which occurs randomly in the base game and you’ll see a sled fly across the screen, leaving a few wild symbols in its wake when the reels stop spinning. This is triggered by landing Santa on the reels along with at least one wild pie; you’ll now receive five free spins initially but look out for the meter on the right hand side. Santa will stay on the reels during the spins and each time a pie lands he will move across to eat it – each pie consumed is then marked on the meter. When the pie part of the meter is full Santa will increase in size and award three extra spins. The larger Santa is still wild and will contribute to more frequent wins. To the left hand side of the reels is a red button displaying a value of 80x your stake – this is the purchase price of the free spins if you’d like to dive straight in. Fat Santa is an excellent slot with some very clever features and an all-important sense of humour; sharp-eyed players will recognise the gameplay from Fat Rabbit but who cares – it’s Christmas! The RTP is 96.45%.